It’s hard to believe that a small worm could destroy millions – millions of tons of crop yields, millions of dollars in farm income, and millions of tons of food for families. The pest has a catastrophic combination of traits. It travels fast (at up to 1,600 kilometers in 30 hours). It loves maize, a staple food crop in Africa (as well as 80 other plant species) (CIMMYT), and, it’s active at night and burrows into plants, making it hard to spot and treat. FAW has now been identified in well over 40 African countries (FAO), and agriculture experts estimate the pest could cause losses of up to 20 million metric tons of maize in just 12 African maize producing countries annually (University of Exeter and CABI). To avoid such losses, it is imperative to get information into the hands of farmers so they can properly identify and manage FAW. However, given the rapid spread, and, the lack of precedent on the African continent, it has been challenging to get up-to-date and accurate information on the pest. That’s why Feed the Future, together with Land O’Lakes International Development and the Foundation for Food and Agriculture Research, launched the Fall Armyworm Tech Prize, aimed at leveraging the immense progress in mobile and digital technology to get timely, context-specific, and actionable information into the hands of smallholder farmers and those who support them. From March 28 to May 14, Feed the Future put out a global call for innovative applications, from anyone, anywhere. And, 20 of the most promising ideas will come together for a co-creation event in Uganda at the end of June to work with mentors, experts, and farmers. After refining their prototypes, our finalists will begin testing their products in the field. Based on the results, and the potential to go to market, five prize awards will be made to the most compelling solutions this Fall. In total, 228 applications were submitted, from 34 countries – a majority of which were from African organizations. Highest participation came from Uganda (52 applications), Nigeria (25), the U.S. (23), Ghana (22), and Kenya (21). Further, over 65% of applications came from organizations of less than 10 employees, with over 40% from organizations where women comprise nearly half or more of the application team. So, what types of applications were received? Perhaps of no surprise, all of our finalists use a mobile phone for collecting and/or sharing data and information with farmers. Approximately 75% of the solutions can work with just a feature phone, while around 90% focus on, or have added services with, a smartphone. 85% of the finalists utilize text messaging, either through USSD or SMS platforms, while 60% use voice calls or an interactive voice response (IVR) system. Approximately 15% leverage radios, and a significant number of the finalists also leverage videos, pictures, or photos in their solutions. Across the board, there was a high degree of integration of different types of technologies – no solution relied on a single technology alone. Finalists also placed a strong emphasis on the human element – integrating field agents and experts alongside the technology. There was also strong emphasis on local languages, appropriate and accessible technologies, and offline functionality. 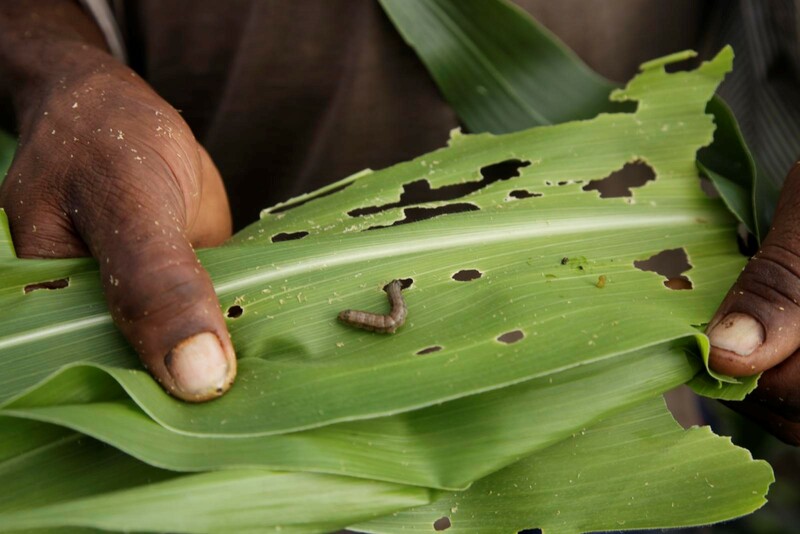 I encourage you to check out all 20 of the Fall Armyworm Tech Prize finalists and follow their progress during our co-creation event in Kampala, Uganda June 26 – 29 on Twitter (#FallArmyworm). I also encourage your partnership as mentors, resources, and potential investors as our finalists develop, test, and launch their solutions over the coming months. Feel free to reach out at fawtechprize@nesta.org.uk to get more involved! *Note: Details on applications are estimates and subject to change as products are refined.